The primary function of a garden fence is to mark the boundaries of your property. However, it may also serve a number of other purposes, from child and pet containment to mere decoration. Residential garden fencing Wirral comes in many different designs. The fence you choose for your garden will depend entirely on the purposes you intend it to serve. Greene Haven Garden Company are happy to offer advice and discuss all of the available styles of fencing to make sure your new fence suits your requirements. Timber fencing’s natural look blends well with any type of structure making it a versatile choice for your property. With many different designs of garden fencing from traditional to modern we are sure that we can find a garden fencing solution for your Wirral home. Which Style of Garden Fencing is Right For Your Wirral Home? 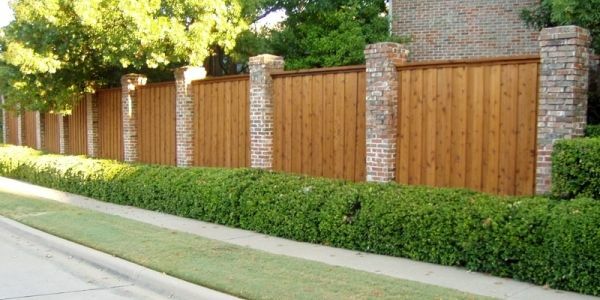 Deciding which style of fence is right for you can have several determining factors but most commonly are divided between privacy and security. With current legislation in the Wirral area allowing for a 1.8m high fence in rear gardens deciding between whether your fencing should be single or double faced, vertical or horizontally place slats or picket or panel style is something that we can help you decide if it’s an increase in privacy that you desire. While having new garden fencing Wirral installed around your property certainly gives the feeling of also increasing security we also recommend the installation of a short trellis section on top of the fence which would collapse under the weight of opportunists trying to gain access to your garden. The noise and damage this would cause would certainly deter all but the most insistent intruders. Timber garden fencing Wirral can also provide your garden with an effective wind break when constructed properly. All of Greene Haven Garden Company fences are constructed using only the best materials and following proper procedures to withstand all normal weather conditions. Above all, the Greene Haven Garden Company constructs aim to be aesthetically pleasing to the home owner and we take great care to provide our customers with a product that not only will it fulfill it’s brief, whether it be security or privacy, but to also construct a garden fence which will enhance the look of your Wirral property for many years to come. Contact s today for garden fencing Wirral.